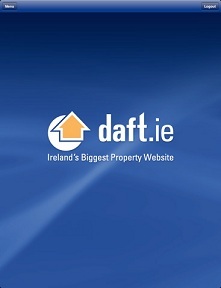 7th February, 2011 – Nationwide rents fell by just over half a percent (0.6%) over the course of 2010, according to the latest report published by the property website, Daft.ie. The fall compares with a drop of 15% during 2009. The average rent nationwide now stands at €830, 27% below the 2007 peak. The levelling off in rents nationally hides different regional trends. In Dublin, rents in some areas are up to 2% higher than a year previously. In Cork and Galway, rents were largely unchanged over the year. In Waterford and Limerick cities, rents fell by between 3% and 4% over the course of 2010. Outside the main cities, rents continued to decline, falling an average of 3.5% over the year. The total number of properties available to rent nationwide has fallen from a high of over 23,000 in mid-2009 to less than 16,000 at the start of February. In the Midlands counties of Laois, Westmeath, Offaly and Longford, rents fell 1.4% in the final three months of the year, have been static between June and September. The average rent in Offaly in the third quarter of 2010 was €605, a fall of €210 from the peak in 2007. The full report is available from www.daft.ie/report and includes a commentary by economic analyst Lorcan Roche Kelly, as well as an analysis of affordability and statistics on residential yields around the country.